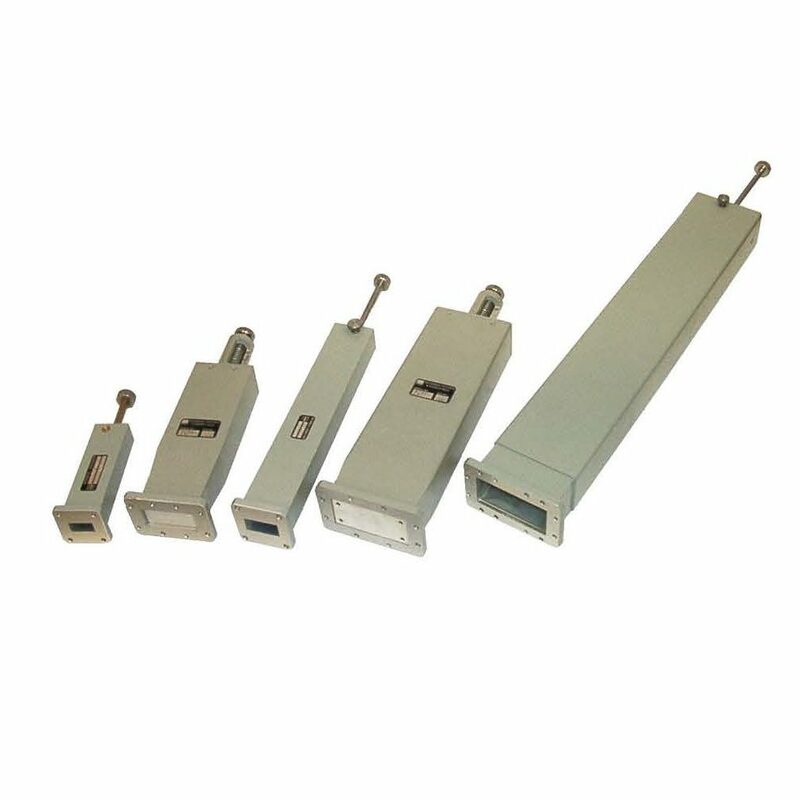 M.E.C.’s 280-LSC Series sliding short circuits are simple low-loss devices which contain a movable short circuit within the waveguide body that is adjustable for over more than half a guide wavelength at the lowest frequency of operation. Resettable movement is achieved via micrometer drive (P through A) or sliding shaft (LM through M) when scale or vernier is included. Models from LM through D contain two-stage non-contacting folded cavity short circuits. Those from J through A contain non-contacting shorting plungers of the circular, multi-choke type. Both are highly efficient. Return loss is typically less than 0.3 dB over the full waveguide band. All units contain locking mechanisms. Assemblies possess aluminum housing, are chromate conversion finished per MIL-C-5541, Class 3, and are painted with gray epoxy enamel on external, non-mating surfaces. (1) Order by model number. Add “S” or “V” if optional scale or vernier is desired with sliding shaft. (2) Other flanges, bands, and lengths are available upon request. (3) Fixed short circuits with waveguide cover flanges are also available. Add suffix “FSC” to model number.